After a 2017-2018 season that saw New Mater Volley, aka BCC Castellana Grotte, finish in last place in the Italian SuperLega with just 3 wins and 10 points, the team made sweeping changes to its lineup this off-season. The team promoted 3 years in a row, starting in the B2 Series, and with 2017-2018 being its first back in Serie A1. They finished last in that first year, but no relegation has been announced yet. Among the biggest additions are two new setters: the expected starter Marco Falaschi and his backup Davide Quartarone. Falaschi has spent some time with the Italian National Team, including at the 2013 World League and Mediterranean Games, and is one of a number of players to depart Poland’s Zaksa this off-season. 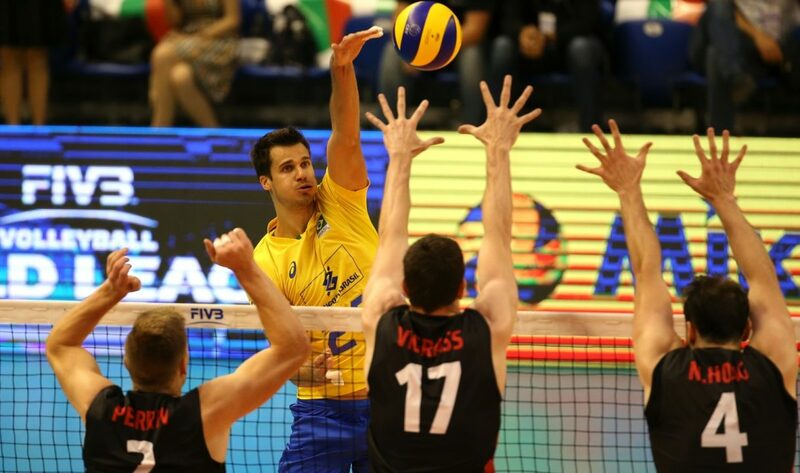 He’ll be setting to a pair of giants at the outside: Brazilian 7’2″ (2.18m) opposite Renan Buiatti and a new Iranian outside hitter, 6’9″ (2.05m) Mojtaba Mirzajanpour. The two are both regular members of their respective national teams, with Buiatti having played on last year’s Grand Championship Cup team and World League teams, but not being chosen for this year’s Nations League team. Mirzajanpour has scored 51 points through 4 weeks of play for Iran. Buiatti comes from Juiz de Fora in his Brazilian domestic league, but previously played in Italy in 2014-2015 (Ravenna) and 2015-2016 (Monza). In 2017, he was named the best blocker of the Brazilian Superliga (even though he’s coming to New Mater as an opposite). The team is also adding 6’7″ (2.00m) Polish outside hitter Wojciech Wlodarczyk, who played with ONICO Warszawa last year. At 27-years old, this will be his first experience outside of the Polish league. He too is a National Teamer, though usually Poland’s “B” squad for the 2015 European League and 2013 World University Games, for example.